Sense SF & The Show, Sunrise Events present The Endup‘s 45th Anniversary After Hours Extravaganza featuring OSCAR G (MURK, Nervous Records, Made in Miami)! If you were to get out a map and track the history of house music – with endless lines sprouting from New York, Chicago and Detroit to points all over the world – you’d have to make a big, red circle around Miami, Florida, and start drawing. Miami was never ground zero to a full-fledged subcultural movement. But it is where Oscar Gaetan, better known as Oscar G, has lived every day of his life. And that fact alone makes it a hub on the global underground. An award-winning songwriter, producer, and DJ, Oscar is one of dance music’s brightest and most enduring stars. As part of seminal production teams Liberty City, Murk, and Funky Green Dogs, he boasts hits – Billboard chart-toppers as well as underground smashes – in every decade, every trend, and every market. “Some Lovin’,” “Fired Up,” and “Dark Beat” are more than just tracks: They are moments, shared by clubbers worldwide. They’re the kind of moments Oscar still creates at Space Miami, his hometown superclub, where he’s been a resident DJ for a staggering eight years – coming full circle after a globetrotting career. Oscar and longtime friend and production partner Ralph Falcon grew up in a Miami enlivened by the fresh spirit of hip-hop. “Break dancing, graffiti and the music that went along with it: That’s really what got me into DJ-ing in the first place,” he says. By the age of 12, he was already spinning at school dances. The early years bore some of the work for which they’re still best known, like often imitated, never duplicated vocals “Some Lovin’,” “If You Really Love Someone,” and “Reach For Me” (Tribal). Upon their release in 1993, the pair became instant superstars. “Europe kind of grabbed us,” says Oscar, so they spent a good amount of time touring overseas, eventually visiting every major and minor outpost of the global dance scene, including Zouk Singapore, Ministry Of Sound London, and Stereo Montreal. “Fired Up!” (Twisted), their biggest hit ever, followed in 1996. It topped the Billboard Dance chart, and even cracked the Top 100, peaking at No. 80. They would go on to remix countless major pop artists, from Madonna to Cher to Donna Summer; and appear on mainstream outlets like MTV and Top Of The Pops. The boys also cut two complete Funky Green Dogs albums for major label MCA, “Star” (1999) and “Super California” (2001). But their own measures of success were still decidedly underground: “Once Junior Vasquez played our records at Sound Factory [in New York], we felt like we could retire, and at that point we were like 20,” says Oscar. In March 2000, Space opened in downtown Miami with Oscar as the Saturday night resident, just as the world was paying its annual visit for Winter Music Conference. The club – with its cavernous main room, pummeling German sound system and nitrogen blasts – was the talk of dance world, and the legend of Oscar’s residency began to grow. In 2006, Oscar became one of Pacha New York’s only non-NY-based monthly residents, strengthening his bond with his home-away-from-home, and its rich dance history. 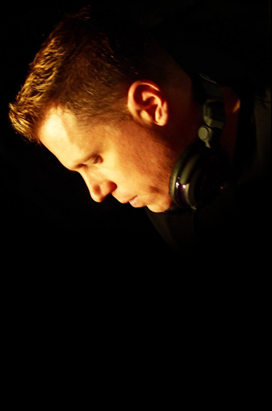 He released a second installment in the Space series in 2007, starting new relationships with Nervous Records in the U.S. and CR2 in the U.K. CR2 also snapped up the Murk catalog, and commissioned new remixes of the classic tracks, including Paul Woolford’s takes on “If You Really Love Someone” and “Reach For Me.” And in 2008, after nearly two decades making music, Oscar released out his first solo album, “Innov8” (Nervous).